Gaining secure, online access to your health information is as simple as the click of a button — a blue button, to be specific. “Blue Button is all about empowering people with their health records, so that they can make better decisions around their own health,” said Adam Dole, a Round 2 Presidential Innovation Fellow working on the Blue Button project at the Department of Health and Human Services. An individual’s health information is often stored in several places at once, everywhere from different doctors’ offices to drug stores to health insurance companies. Blue Button allows electronic access to all of those records, so that a patient can compile the records in one location or document and share them digitally. Dole said having access to personal health records is essential for patients to become more engaged in their health. 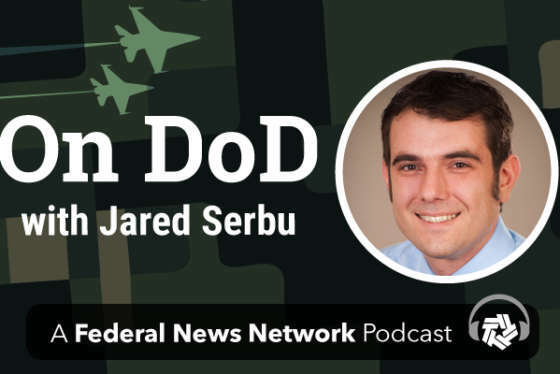 Federal News Radio takes a closer look at the Blue Button Initiative as part of our special report, Solving Our Nation’s Toughest Challenges: The Presidential Innovation Fellows. The Blue Button initiative originated within the Department of Veterans Affairs, before the existence of the PIF program. The VA developed Blue Button as a means for veterans to securely download their personal health information electronically. The Centers for Medicare and Medicaid Services quickly followed by allowing Medicare beneficiaries to download their health claims records. The Round 1 fellows, Matthew McCall, Henry Wei and Ryan Panchadsaram, started the conversation with health insurance companies around making data easily accessible for consumers. The fellows also wanted to create a more user-friendly, “human-readable” interface for the health data. “It’s not only a patient’s right to have access to this data, but they should be demanding this data and demanding that it’s in a certain format so they can actually use it,” Dole said. The fellows held a Health Design Challenge, asking for submissions on how to improve the medical record’s visual layout. They received ideas from more than 230 designers, and the VA Center for Innovation is in the process of developing the winning layouts. “I have to give a lot of credit to Round 1 fellows because I think they not only launched the challenge around making this data more available in a human-readable format, but really crowdsourced from some of the best talent in our country,” Dole said. The work of the fellows and agency partners also spurred private sector employees and entrepreneurs to develop a number of new applications, allowing users greater accessibility to their Blue Button data. Smartphone applications remind patients to refill prescriptions, or set personalized health goals based on an individual’s data. A lack of technology, however, is not the issue, Dole said. “The technology exists today both within health care but also within other industries and sectors to get data to flow in a more liquid way. The issue is really the culture of medicine and health care in our country,” he said. The Round 2 fellows — Dole, Nayan Jain and Tom Black — took Blue Button another step forward, through the MyData Initiatives project. The fellows continued talks with insurance companies initiated in Round 1, and they also began conversations with doctors’ offices and other health care providers. “When we talked to consumers, we learned that a lot of the records that they engaged with on a more regular basis, like their pharmacy records, or their lab records, or their state immunization records as it relates to their kids’ vaccinations, were high-value touch points that were not [previously] being considered by Blue Button,” Dole said. He said his role in the Blue Button project is “externally focused,” working frequently with private sector companies, labs and pharmacies to adapt and begin using Blue Button. Companies ranging from large retail pharmacy chains and small start-ups have been receptive to the idea of interacting with their customer base through the use of Blue Button. Through the work of the fellows and agency partners, 150 million Americans are able to use Blue Button to securely access their health data online. In Round 3 of the Presidential Innovation Fellows program, Blue Button will continue under the theme of data innovation. Trudeau said it’s uncommon for a project to fall under the PIF umbrella for three consecutive rounds. A screenshot of the Blue Button Connector website. The current fellows developed a new tool called the Blue Button Connector, which allows individuals to locate where their health information exists. While Dole’s term as an innovation fellow is coming to an end, he said he looks forward to what the Round 3 fellows will do with the Blue Button Connector, and what versions two and three of the Connector will look like. “If they can continue the moment and take it in the direction that we know it can go, I have a lot of optimistic hope for the future of Blue Button,” Dole said. Video: What is a Presidential Innovation Fellow?